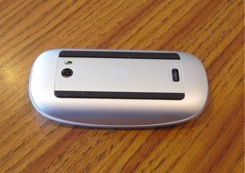 The Apple Magic Mouse is a stylish Bluetooth pointing device with a unique non-wheel scrolling function and a touch interface that marries the best of a touch pad and a mouse into one device. 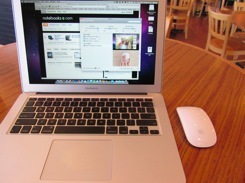 Having Bluetooth in my new MacBook Air, I wanted to get a Bluetooth mouse to go along with it. 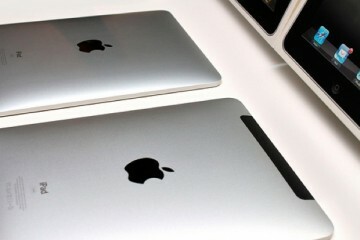 I’m not a big trackpad fan so a mouse is must if I’m going to enjoy using a computer for any length of time, even with the excellent touch pad on the new MacBook Air. 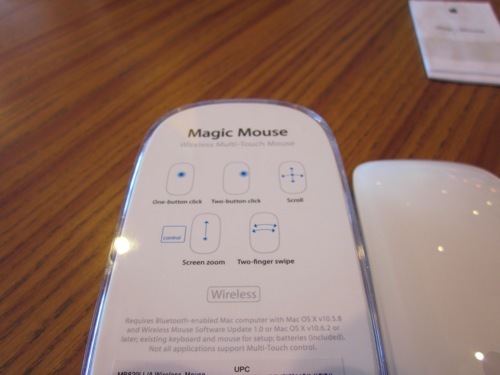 The Magic Mouse looked like a good option and after a few days use, I do believe that it brings both the accuracy of a mouse with the function of a touch pad. 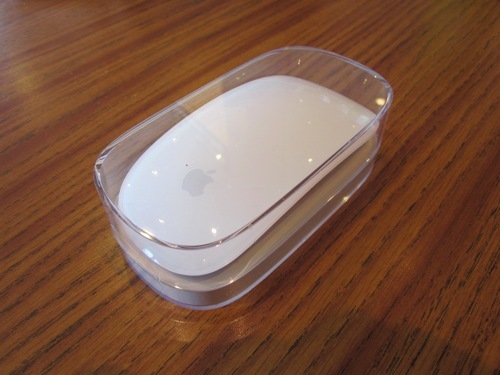 The Magic Mouse comes in typically minimalistic Apple-like packaging. The instructions for use are on the bottom, which not only helps the user quickly figure out the gestures recognized by the mouse but helped me in my decision to buy it. 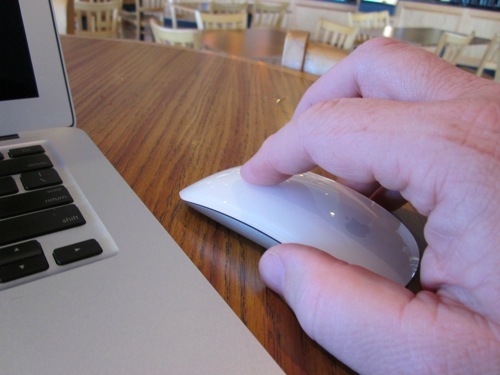 Pairing the Bluetooth mouse with the MacBook Air is simple. Flip the switch on the bottom to on and using the Bluetooth menulet (an icon in the upper left on menu bar) in OS X choose the device and click on select. It is easy. The only problem is that out of sleep, the mouse often will not reconnect automatically. Using the mouse is simple. Many reviewers have complained that people with big hands will not find it comfortable enough for long computing sessions. I have not experienced that problem and I do have very big hands. It is not big like the Logitech Performance Mouse MX our editor Josh Smith previously reviewed, but if you don’t try to rest your hand on it, then it is fine. 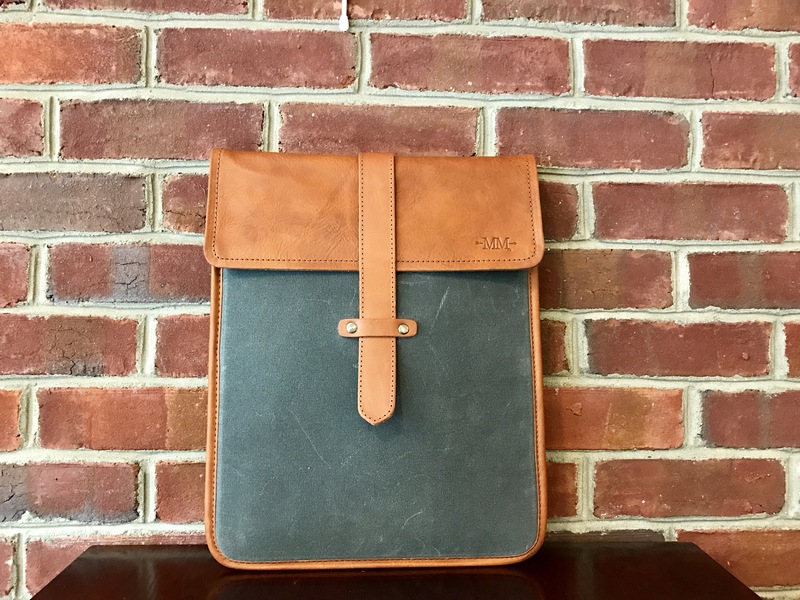 The small size is light and portable, fitting in the notebook sleeve that I am currently using. 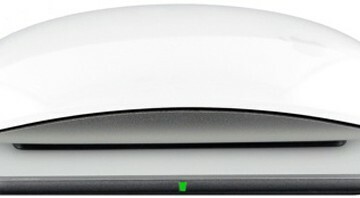 The gestures and buttons on the Magic Mouse are what make it unique. 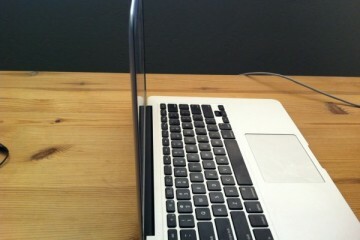 It looks like it has no buttons, but in reality the top is one large button. 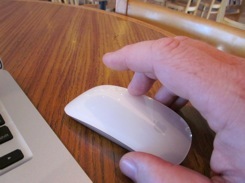 Press in the center of the mouse and it behaves like a normal mouse left click. 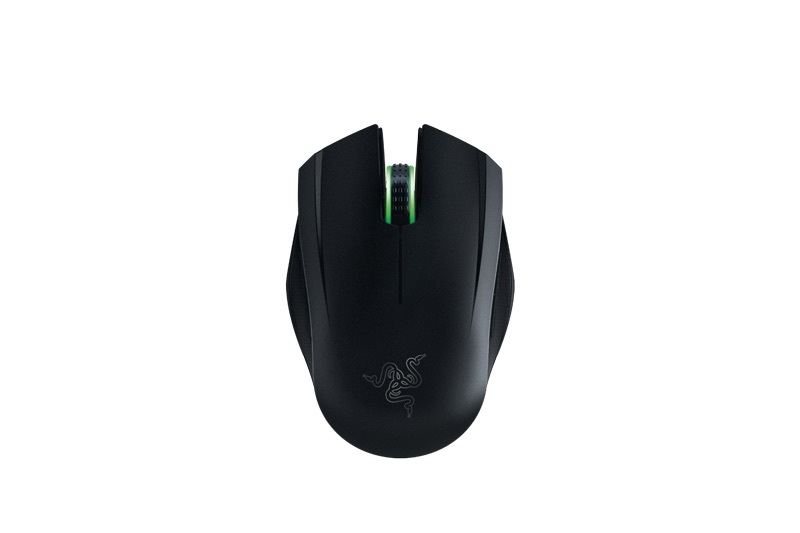 Press on the center right portion of the mouse and it behaves like a right click. One problem I had was trying to press towards the top part of the mouse. This works fine for the left click in the center. 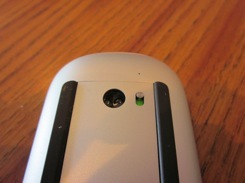 But right clicking by pressing in the upper right portion of the Magic Mouse is spotty at best. 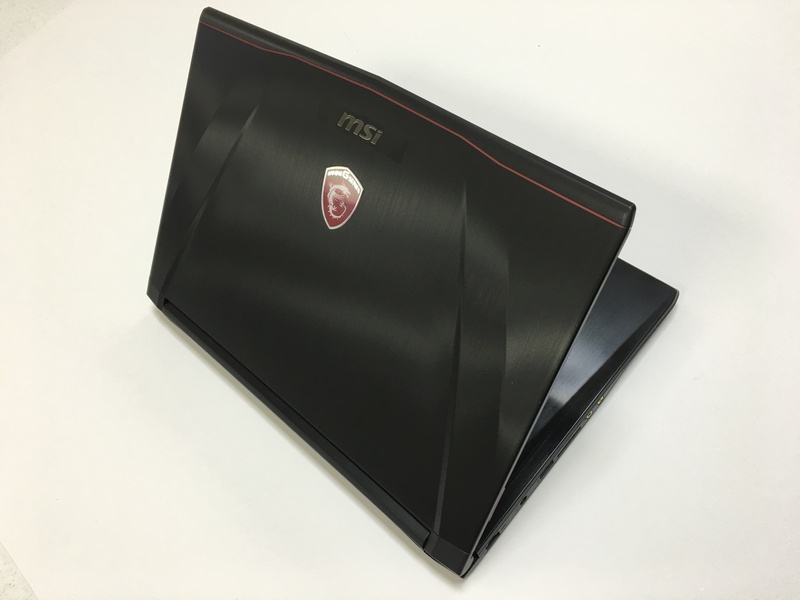 But it is not designed to be used that way, so if you get one, be sure to press in the very middle of the mouse for left click and the middle right for right click as shown in the comparison pictures below. Scrolling up and down or left and right is very easy. 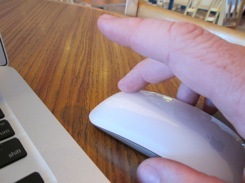 Just drag your finger over the surfase of the mouse in an up/down or left/right motion. To zoom in/out just press the control key on the keyboard and swipe up or down. The gesture that is a bit of a challenge to master is the two finger swipe. 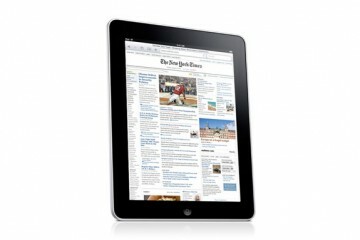 It is a back or forward in applications like Safari for going back one page or forward one page in your surfing history. The problem is trying to hold the mouse still as you swipe. I fiigured out that holding it firmly between your thumb and ring finger as you use your index and middle fingers to perform the swiping anction. It takes some practice but it can be done and I now have no problem doing it after just a few days of use. 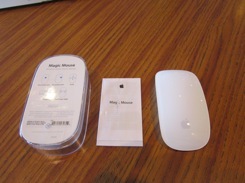 Below is a short video demonstrating how to properly perform the gestures using the magic mouse. The first is the two finger swipe. 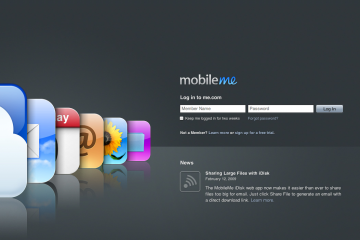 Then I demo scrolling up/down and left/right. At the end I show you first the proper way to perform both right and left clicks followed by the wrong way (at the far end of the mouse which causes problems when right clicking). 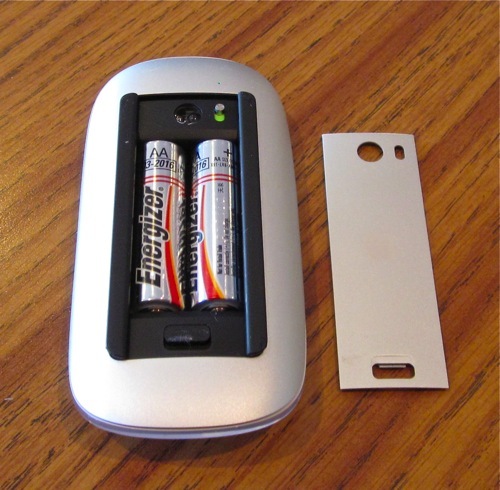 The battery life of the Magic Mouse seems very good. I have not had it long enough to test, but after many hours of use the menulet drop down in OS X says the battery is still at 100%. 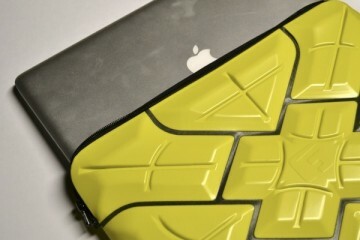 If that is accurate, then this thing should last for a few hundred hours. 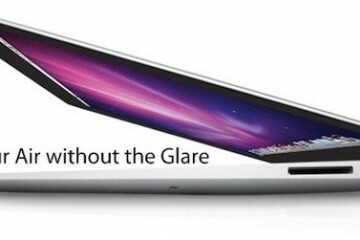 While the Apple Magic Mouse has been received with mixed results, I enjoy using it. It is a win. How do you get it to function more like a pc mouse, never have to lift it?